Simple, easy to make, and oh so delicious. 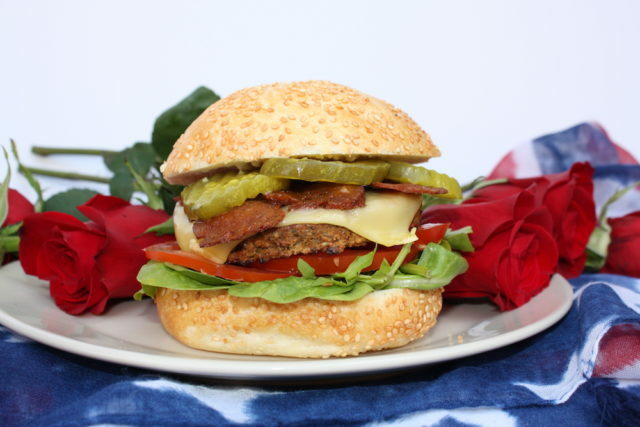 Our Memorial Day burger is a timeless classic to make for the holiday and to share with friends and family. 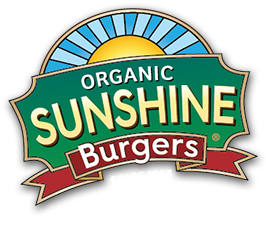 Grill or pan fry one Sunshine Burger Barbecue patty. While cooking the patty, lightly fry 3 strips of seitan bacon. Place one slice of Follow Your Heart Gouda cheese on top of patty and continue to cook until cheese is melted. Stack your delicious burger sandwich from top to bottom with bread, lettuce, patty, melted cheese, seitan bacon, sliced tomatoes, pickles and then topped with the final slice of bread.